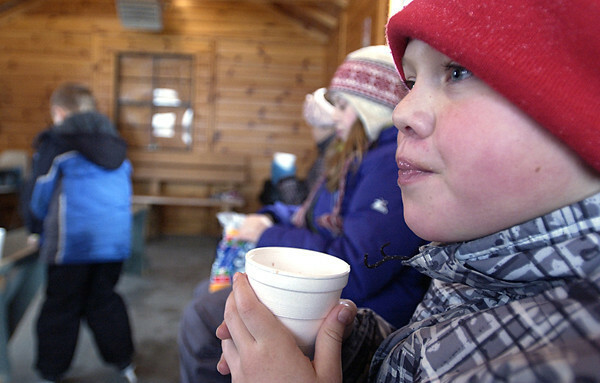 Reece Robertson, 11, sips on a cup of hot cocoa Monday afternoon while taking a break from skating on an outdoor skating rink near downtown Traverse City. Children and families often flock to a handful of city-maintained rinks during days off from school, said Greg Denoyer, a rink supervisor who works for the city. The warming hut was a popular place during the afternoon while yet another blast of arctic air descended on the region. Temperatures today are expected to peak at 8 degrees, according to the National Weather Service.